Ideas for taking care not to replicate forms of psychological colonization when understandings about trauma work are ‘exported’ across cultures. How do you know what to externalise? How do you begin a re-authoring conversation? Why is it important for there to be witnesses to preferred stories and what are definitional ceremonies? When are you likely to engage in a re-membering conversation? What is poststructuralism and how is it relevant to the therapy world? What is the fit between feminism and some of the practices of narrative therapy? This book offers answers to these questions and many, many others! It also provides detailed examples of therapeutic conversations shaped by the narrative practices of externalising, re-membering, outsider witnessing and re-authoring. 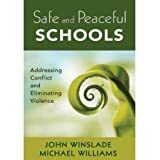 This book has been created from responses from therapists from Australia, New Zealand, Samoa, England, Canada, South Africa, Mexico and Austria, and therefore provides glimpses of therapeutic practice in many different parts of the world. 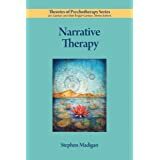 If you are trying to engage with narrative practices in your therapy or community work then this easy-to-read and yet thorough and rigorous book has been created with you in mind. We recommend this book as the perfect companion to 'What is Narrative therapy: An easy-to-read introduction' by Alice Morgan. £29.50. by Richard Maisel, David Epston & Ali Borden.